Summer season is camping season! Or as we call it around here, Husband-isn't-always-a-happy-camper-so-buying-one-isn't-even-a-question-but-I-want-to-renovate-a-vintage-RV-anyway season. 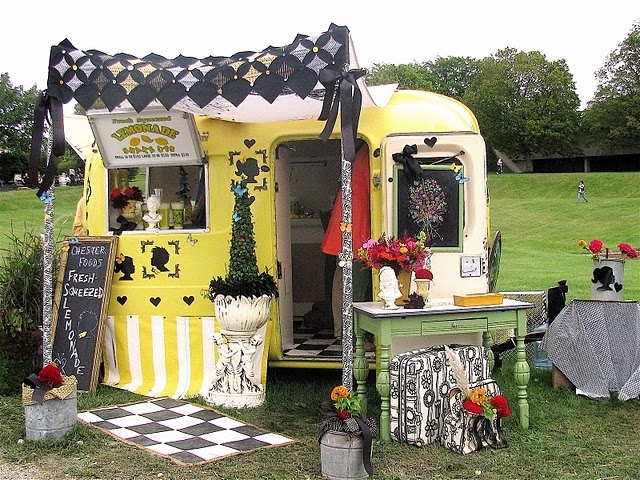 I like the quirky retro RV remodels because you have to be a new reader to not understand why. Hi new reader! 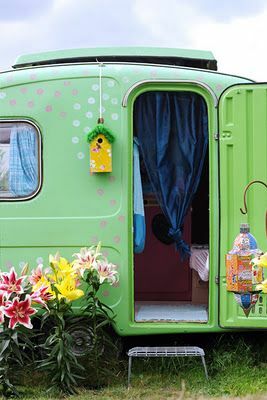 In all seriousness (bear with me), I like the colorful and a little bit kooky campers because I spent almost every summer of my childhood camping in a brown and beige RV with my family. Although to be fair, with kids, a dog, and trips that included more rain and mud than we would like, I'm sure my mom was OKfine with a color scheme that looked decent no matter how much dirt we tracked in because small children are allergic to wiping their feet on the doormat in front of the trailer door. I think I found my happy place. This is it. And it is a lemonade stand! I'll take one please. I love the paint job and cheery green color. Ah, the classic Teardrop trailer. It has room for a bed and not much else. I look at it as a step up from camping in a tent which you can appreciate if you've ever slept in a tent in a thunderstorm with a leaky floor. 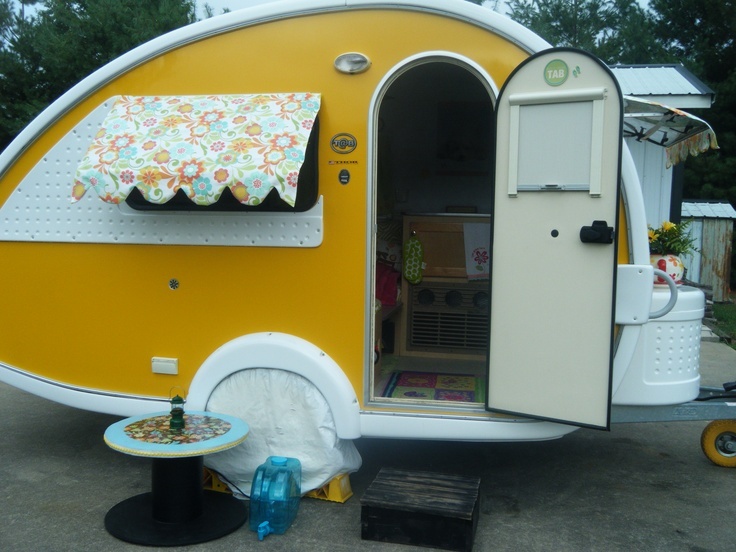 I love everything about this next camper. The exterior looks original. Love the cheery pennants and red and white interior. Do you believe this is an RV?! When I first saw it, I thought it was a swankified mod kitchen in an apartment. 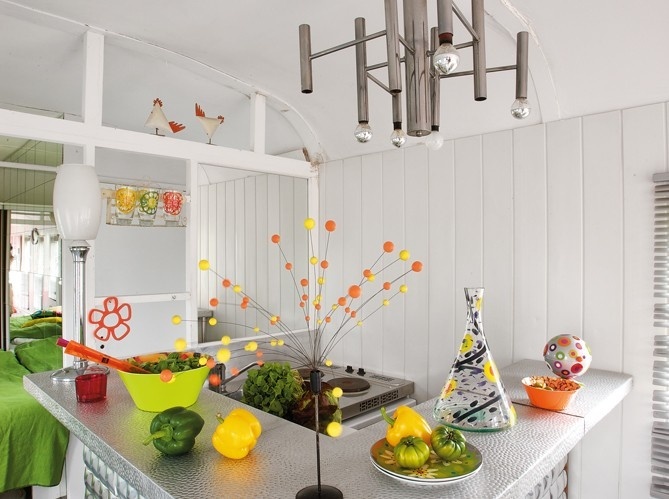 Nope it is a swankified mod kitchen in a remodeled RV. Swoon. 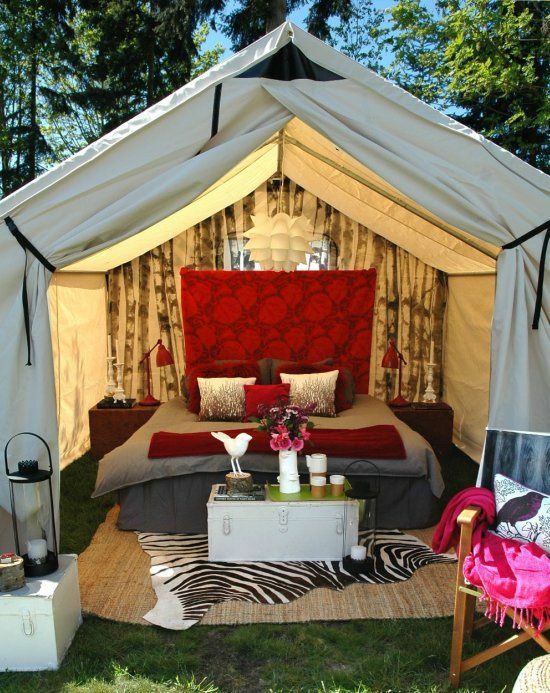 We have a tent so this last remodel is something Husband and I could do, glamping! I like the concept because it reminds me of how the Victorians brought everything but the kitchen sink on trips and safari. But I wonder how exactly how big a vehicle you need to haul all of that extra stuff out to the woods, something as large as an RV? With my luck, I'd remember the foo foo decorations and forget something important like the camp stove because it didn't fit in the car.